Welton Academy is an all male, elite prep school. One of Welton's most promising students, Neil Perry is assigned the shy Todd Anderson as his roommate. Neil's friends accept Todd as their own soon enough. A new English teacher, a Welton alumnus, John Keating, arrives with his unorthodox teaching methods and encourages his students to make their lives extraordinary and asks them to follow the principle of Carpe Diem. His methods of teaching include having them take turns standing on his desk to making them develop their own style of walking in the courtyard encouraging them to find themselves as individuals. When Neil learns that Keating was a member of the unsanctioned Dead Poets Society while he was at Welton, Neil restarts the club and he and his friends sneak off campus to a cave where they read poetry and verse, including their own compositions. As school progresses, the boys learn a lot from Keating about life and living it on their own terms. This doesn't go down well on the strict headmaster Gale Nolan who warns Keating about encouraging the students to question authority. Neil soon discovers his love for acting and takes part in a local production of A Midsummer Night's Dream, despite the fact that his domineering father wants him in the Ivy League and not focusing on extra-curricular activities. Meanwhile, Keating helps Todd come out of his shell and realizing his own potential, he composes an impromptu poem in front of his class. When Neil's father discovers Neil's involvement in the play, he forces him to quit on the eve of the opening performance. When Neil reaches out to Keating for help, he advises him to stay true to his passion and prove to his father that this is something he wants to pursue seriously and Neil goes ahead with the play. Soon, a tragedy occurs that puts Keating to blame. Will the students stand up for their favorite teacher? The first time I saw this movie, it just blew my mind. This movie has nothing great, it just talks about embracing life and living it on your own terms. It also talks about the magic and beauty of poetry and creativity. This movie has a lesson for every one of us. Robin Williams is in his true element in this movie and the way he interacts with his students is so natural and genuine. The boys are cast perfectly and Ethan Hawke is a charm as the shy Todd, the son who is trying to live up to the expectations of his parents. Robert Sean as Neil does a splendid job too, but it is Robin Williams who steals the show with his command on poetry and his easy expressions. I'm surprised he didn't win an Oscar for this, he was nominated though. The story is brilliant even though I know of quite some people who have found this movie to be slow and boring. As for me, I can watch this movie any number of times and still be as amazed as I was the first time. The dialogues of this movie can be complied to create an inspirational book that I'm sure will be a best seller. We all need to watch this movie at least once. I've seen it more than fifteen times till date and I'm still not done with it. Runners-up: The Dark Knight (English), Drishyam (Malayalam), Due Date (English). This movie is iconic! Every quote from Keating/Williams is a gem and a life lesson. Saw this in 1990, Soumya. I remember paying extra at the video library. Worth so much more. Since then, have seen snippets countless times. I loved the pace of the movie...and its concept. Beautiful! I knew this would be your favorite too, hottie! Every dialogue from this movie can be a lesson to us. 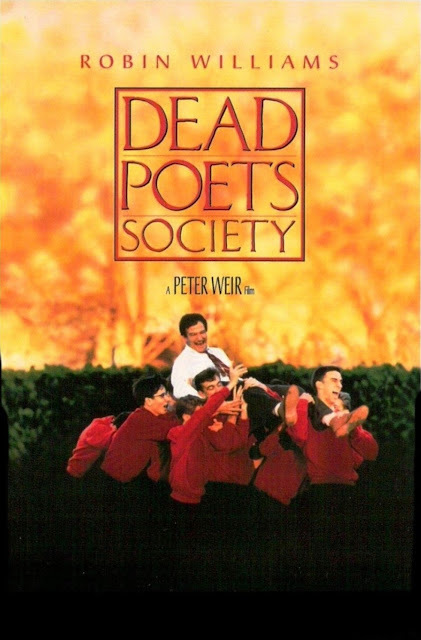 I have heard about Dead Poets Society, must check it out - sounds interesting. I have watched Drishyam in Hindi - Starring Ajay Devgun. Is it same as the Malyalam version? Please do watch this one ASAP. There is no way you will not like it. Yes, Drishyam is the same. The malayalam one is the original one though and came out years before the other remakes. It just blew my mind when I watched it for the first time. I saw this movie years back when I really did not understand it completely. But ow as I read your review, I feel I must go back to it and spend some quality time watching this seemingly wonderful movie. Many people have told me the same thing. But please do watch it again to understand its true beauty. No, I haven;t watched this one though I have heard of it. Great story. Will definitely watch it over the weekend. The other three - yes! I love those! Please do watch this one, it is way too brilliant! O Captain! My Captain! 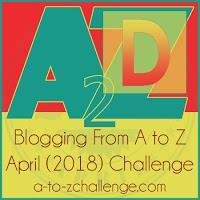 Perfect selection of the movie for the alphabet D.
It actually should be dubbed in all regional languages so that the lesson be reached to everyone. Thank you! And yes, I do agree with you. HAvent seen this movie ... Sometimes with the right frame of mind, even if the movie has been perceived to be slow, any movie would seem just fine..
Do watch this one, its lovely! I saw the beginning and some more of this movie, but I soon lost focus. But, now that you speak so highly about it, I am going to give it another try. You never know! I might come to like it as much as you did! Do give it a try, it sure is worth it! One of my favourite movies of all time. I loved everything about it. Took me back to my literature classes in school Oh how I miss college And being free. Sigh. Carpet Diem and Oh Captain my captain! I guess it depends on when you see the movie too. Those looking for an action packed thrill a minute movie will find this movie laborous. But for those who go in for the experience and emotions, movies like this, the Green Mile, Shashank Redemption etc blow your mind with the inspirational tales they give without ever resorting to thrills. I guess you're right. As much as I love action, I'd choose experience and emotions anyday. I have heard of this movie so much. I did not know Ethan Hawke was here. I just loved the Before Sunaet series. I have read good things about this movie a lot. Thanks for the recommendation. Would have to watch this soon. Ethan Hawke was really really young in this one. Maybe this movie introduced him, I;m not sure. Do watch this and let me know how you like it. I'm with you; it's a great movie! Robin Williams is gold in this movie (as he is in pretty much all of them). He sure is. What an actor! I had heard of the movie before, but watched it only a year back. But I loved it so much, I keep watching it every time it airs on Star Movies Select HD. 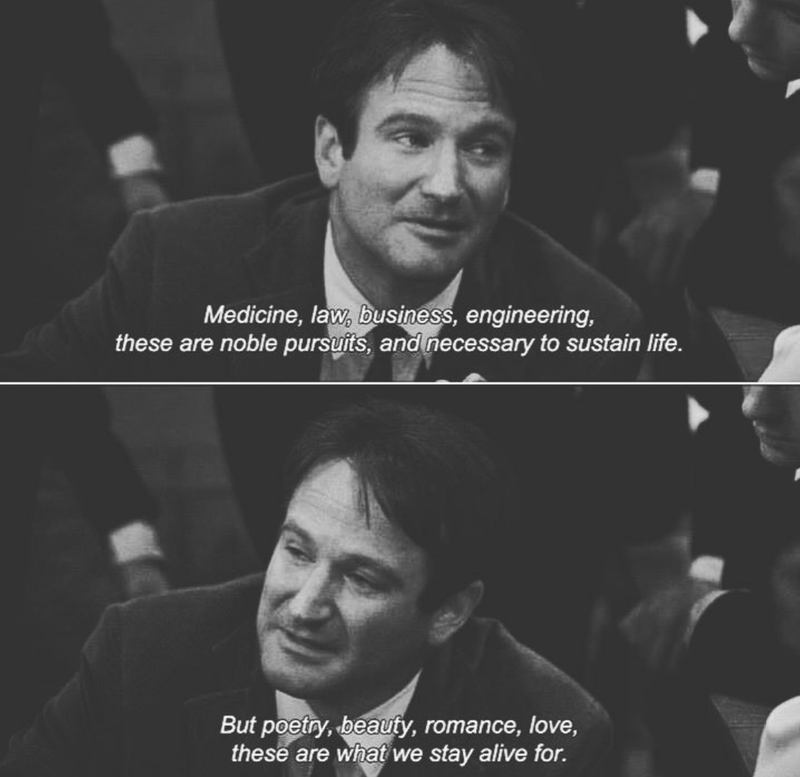 :) I agree with you, Robin Williams deserved an Oscar for it. They tried making a movie in Malayalam on similar lines, but it's nowhere in the same league! They made a malayalam movie? Who starred in it as Keating?